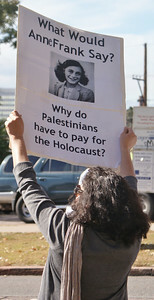 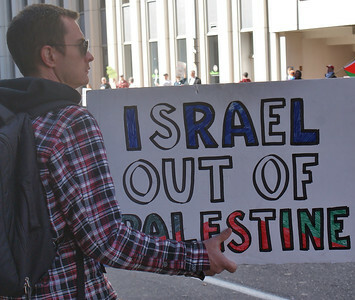 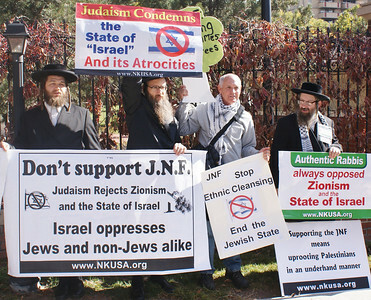 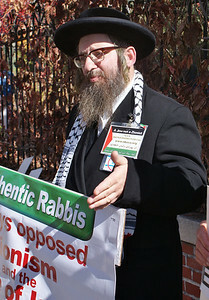 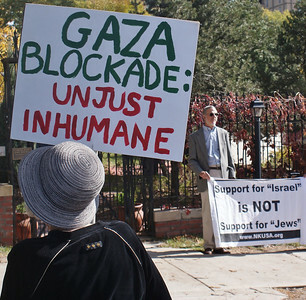 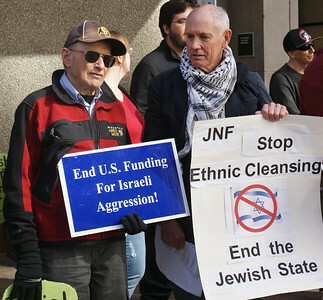 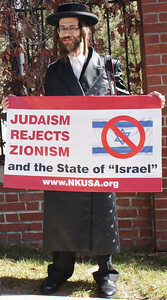 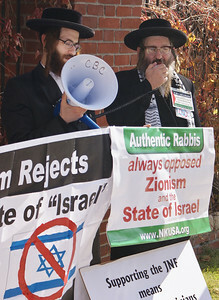 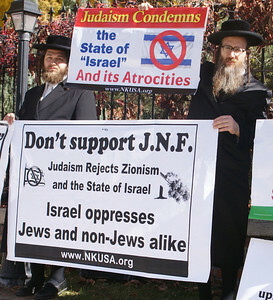 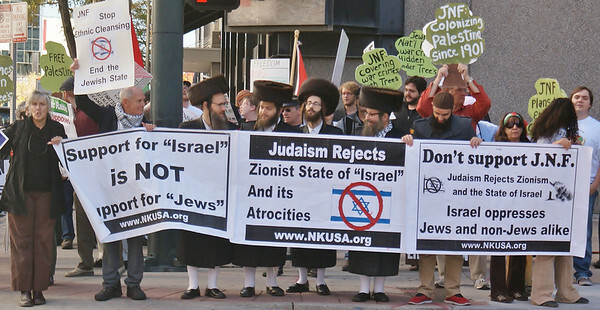 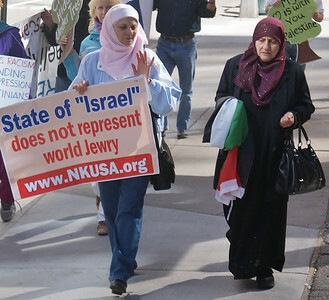 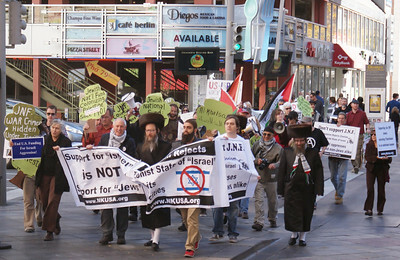 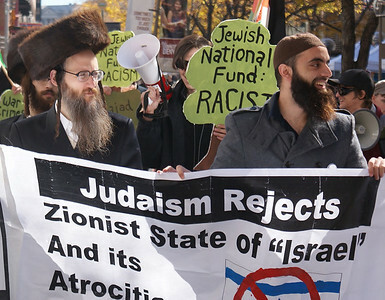 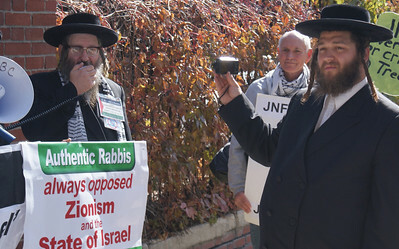 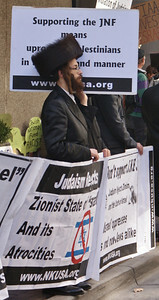 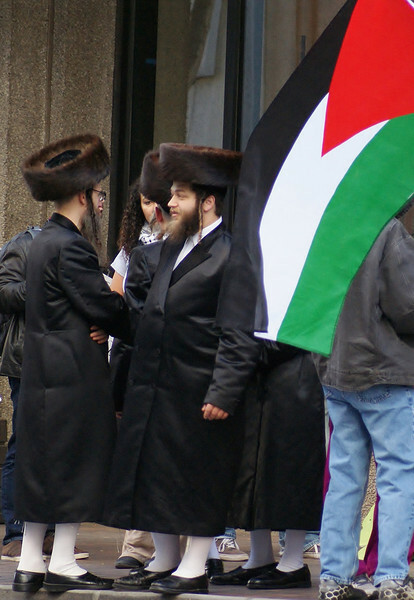 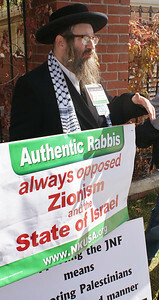 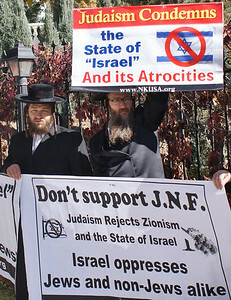 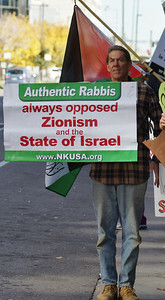 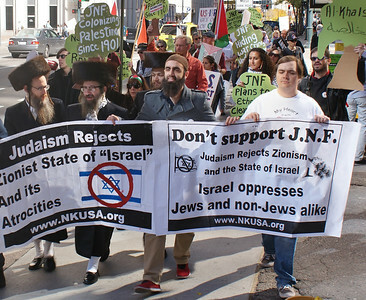 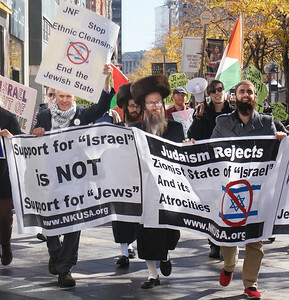 Demonstrators gather outside a downtown Denver hotel where the Jewish National Fund was holding a 4 day conference. 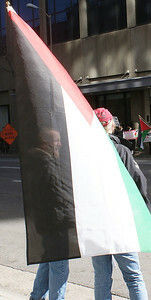 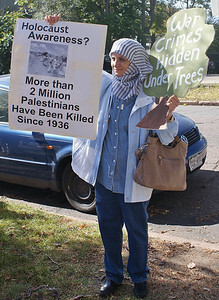 Many displayed the Palestinian flag. 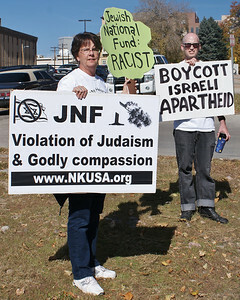 Demonstrators gather outside a downtown Denver hotel where the Jewish National Fund was holding a 4 day conference. 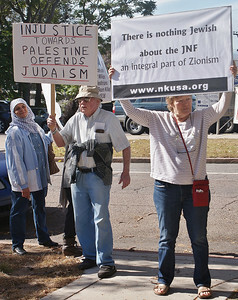 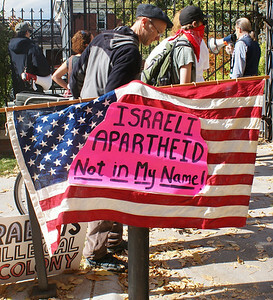 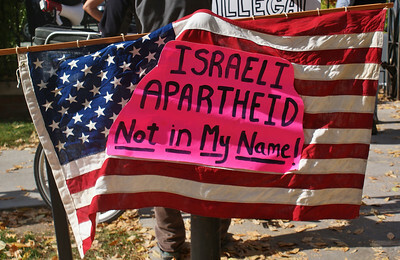 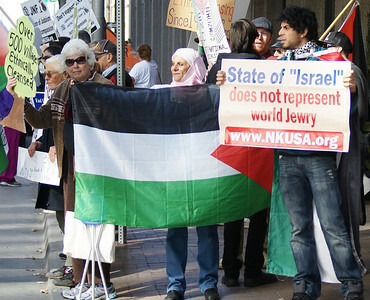 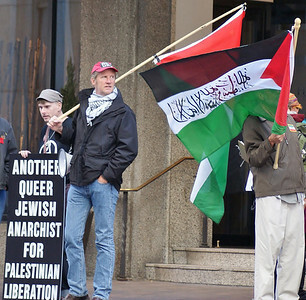 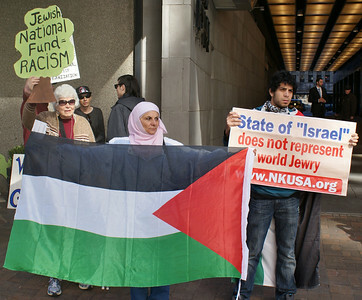 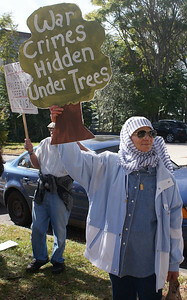 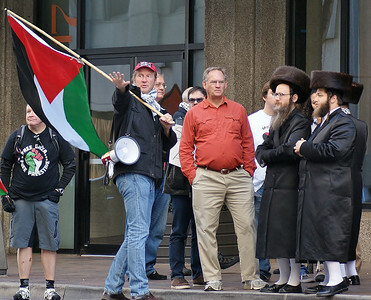 Demonstrators ouside a meeting of the Jewish National Fund in Denver, display the Palestinian flag.